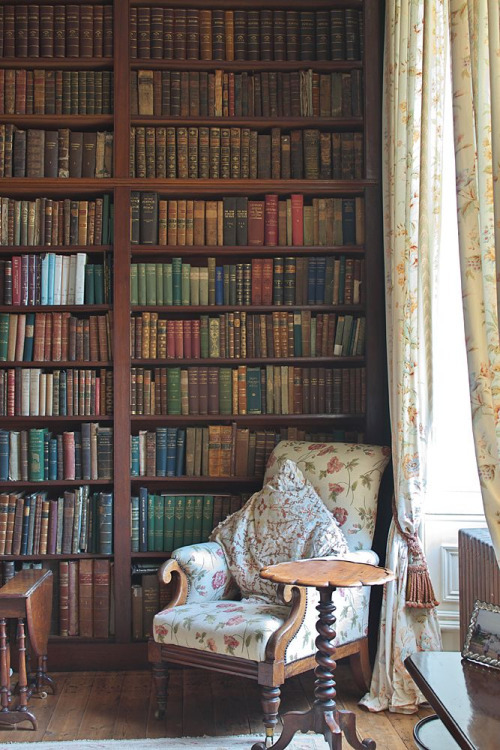 Great photo of a comfy chair and shelves of old books. I would like to peruse the shelves and would definitely find some gems to read. Oh yes, I could spend some very happy hours there. I can almost smell that lovely old books smell. This has to be THE one for me. I would never want to leave. I want to be sitting in that chair with the light of the day illuminating the book I am reading … I will be slumped down … oh, where is the footstool? What a wonderful photo! I wonder if you could turn it into wallpaper or something?